Elisabeth Johnston is the assistant director, alumni relations and joined the Ford School in January 2011 as the alumni relations manager. In this role, she serves as the primary liaison to the Ford School Alumni Board, partners with Graduate Career Services and Student and Academic Services to engage alumni in professional development opportunities and student recruitment activities, and oversees other alumni engagement activities such as Worldwide Ford School Spirit Day and Homecoming. 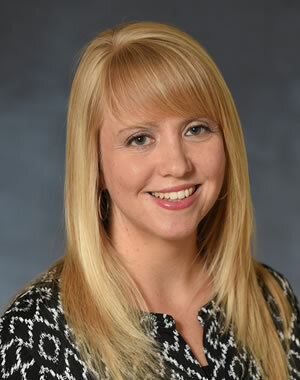 Elisabeth came to the Ford School from Wayne State University in Detroit, MI, where she previously worked in the Office of Alumni Relations and the Athletics Department. She holds a Master of Arts from Wayne State University and a Bachelor of Arts from the University of Michigan.